Description: This is the blockbuster of all stacking games, the original wood block game . 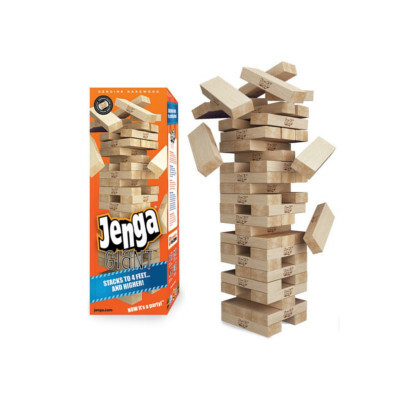 The rules are simple enough for the whole family to play: Just stack the blocks into a tower without letting it fall . It's fun for all ages too, as some blocks from the bottom of the tower are pulled to make it taller. Who will make the tower fall, great for family game night.